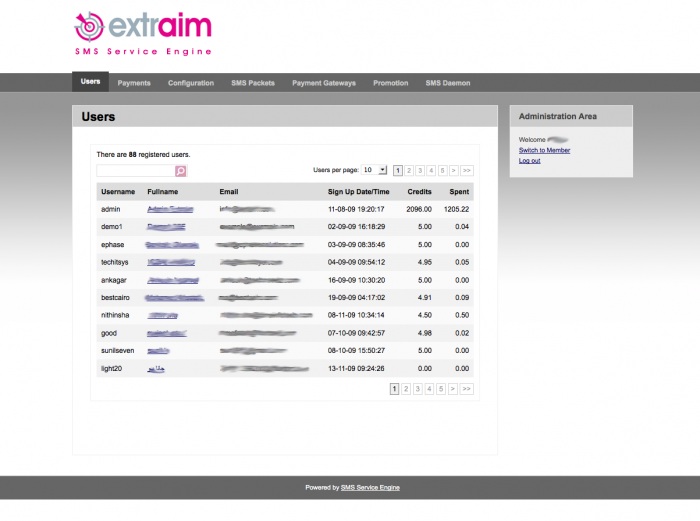 SMS Service Engine offers you an easy way to manage your clients. You can perform any task via an easy web interface. Edit user’s details, manage their balance, view their statistics, edit their credentials etc.